Attending a dinner party with friends became the motivation Darlene Micciche needed while recovering from cytoreductive surgery and hyperthermic intraperitoneal chemotherapy (HIPEC). The reservation — booked months in advance — was for seven couples, the entire occupancy of FLX Table in Geneva, New York. Micciche’s surgeon, Dr. John Kane, told her it would take about six weeks to recover from the aggressive surgery. She was out of the hospital in 11 days and remained as active as possible at home the following weeks. The dinner party was exactly six weeks and two days after her surgery, and Micciche was there with a smile on her face. A week later, on Halloween, Micciche was able to go trick-or-treating with her grandson, who she watches on Tuesday nights and Wednesdays during the day. Less than two months after surgery, peritoneal mesothelioma survivor Darlene Micciche was able to go trick-or-treating with her 3-year-old grandson. Micciche, 60, had multiple gastrointestinal surgeries prior to her cytoreductive (debulking) procedure on Sept. 9, 2017. It was a surgery to remove scar tissue on her stomach that revealed several spots on her peritoneum, or the lining of the abdomen. “My [gastroenterologist] had done a surgery on me a year and eight months before that and knew those spots weren’t there at that time,” Micciche said. Micciche’s friend, neighbor and GI specialist, Dr. Anthony Baratta, was there to greet her when she woke up from surgery. Micciche’s doctors were certain the spots were cancer, but were unsure of the exact type of malignancy. “They said it was adenocarcinoma, either of the small intestine or the pancreas,” Micciche said. After numerous tests, doctors ruled out small intestine cancer — the more favorable of the two options. 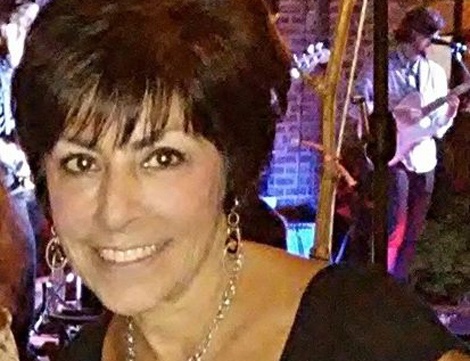 Micciche was later told it was stage 4 pancreatic cancer that had spread to her peritoneum. It wasn’t until a second opinion at Strong Memorial Hospital in June 2017 that doctors finally determined the true diagnosis: Peritoneal mesothelioma. According to the American Cancer Society, the one-year survival rate for all stages of pancreatic cancer is 20 percent. The five-year survival rate for stage 4 pancreatic cancer is 16 percent for those treated with surgery and just 1 percent for patients not eligible for surgery. Peritoneal mesothelioma carries a significantly better prognosis. About half of peritoneal patients treated with cytoreductive surgery and HIPEC live longer than five years. With the cytoreductive surgery and HIPEC combination not available in Rochester, Micciche had to look elsewhere. She connected with Kane at Roswell Park Comprehensive Cancer Center in Buffalo, New York. A big part of that was confidence in Kane’s experience, with more than 200 debulking surgeries with HIPEC under his belt. Micciche’s surgery took 10 hours. Kane never left the operating room. Kane removed Micciche’s ovaries and peritoneum and scraped cancerous growth off her diaphragm, liver and small intestine. A 90-minute heated chemotherapy session followed. Her first scan in December came back cancer-free. She’ll be back in March for another, with quarterly scans for the next three years. Kane told Micciche if the cancer returns after two years, he’ll perform another cytoreduction and HIPEC. “He was honest with me and said that in most cases you either have a zero percent chance of it coming back or a 100 percent chance,” she said. After her diagnosis, all Micciche could think about was her husband, her parents and her 3-year-old grandson. Micciche attended Catholic grade school and high school, but admits she doesn’t go to church regularly. Darlene Micciche with her husband, Mike, and grandson, Camden, at Darlene’s 60th birthday party. Friends also played a large part in Micciche’s speedy recovery. They started an online meal train to organize dinners and make sure she always had a nice meal. Micciche’s friends also assisted with medical needs, such as giving her a daily shot of heparin to prevent blood clots. The active lifestyle Micciche kept before her diagnosis and surgery hasn’t stopped. She still attends dinner parties, takes out the family boat, vacations at their property in Florida, and spends as much time with her grandson as possible.